If we’re talking about devices that save space on your workstation, then the KeyMouse deserves more than a second glance. The KeyMouse is a multifunctional device that serves as a keyboard and a mouse at the same time. The basic design consists of a keyboard split across the middle, with each half equipped with a separate embedded mouse. So, each half of the KeyMouse serves as a mouse and one half of a keyboard. The best thing about the KeyMouse is that it is ergonomically designed. At Tech Buzzer, we believe this is a very important feature because it helps to minimize the loss of typing speed and mouse navigation that would naturally come from switching from a regular keyboard and mouse to the KeyMouse. 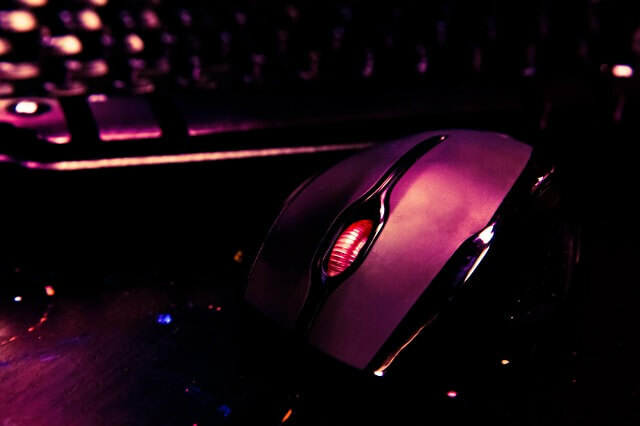 The KeyMouse can be controlled by pressing the mouse button with the thumb of either hand. The KeyMouse also comes with some special buttons on the side of the mouse to help with specific functions that make the KeyMouse a very useful device. The keyboard of the KeyMouse does not have a traditional numeric keypad. But that is not a problem because the device has a NumLock button. Simply press it and the right half of the keyboard serves as a numeric keypad. There is very limited loss of functionality and speed when learning to use the KeyMouse. The finger positioning is the same which makes touch typing possible. However, it takes a couple of days getting used to the elevated position of some of the keys to accommodate the curvature of the mouse. Soon, you are back to your normal typing speed and fluency.